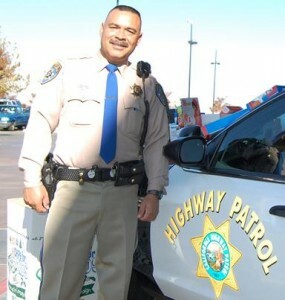 Local CHP officer Gil Hernandez. SACRAMENTO — The California Highway Patrol (CHP) will accept applications next week from individuals interested in a career as a CHP officer. The CHP is looking to hire cadets from a pool of applicants to fill vacant officer positions throughout the state. Applications will only be accepted online during a three-day period beginning at 7 a.m. on Thursday, September 12, and ending at 11:59 p.m. on Saturday, September 14, 2013. This brief application period marks the second time in three years the CHP has accepted applications. Those interested in applying, or seeking additional information, should visit www.chpcareers.com. Each applicant will be required to complete the entire testing process, including a written test, physical ability test, appraisal panel interview, background investigation, medical/vision evaluation, and psychological evaluation. Applicants who tested after January 1, 2013 and passed the written exam will be eligible to waive the written examination for this testing cycle. Applicants who are eligible to waive must still apply during the three-day application period. An applicant study guide and practice test can be found online at www.chpcareers.com. Be sure to visit the CHP’s recruitment Facebook page at www.facebook.com/chp.recruiting. 1 comment for "REMINDER: CHP accepting officer applications Sept. 12-14"
I can’t wait to let my lil’ brother know about this opportunity. He tried for L.A.’s Sheriff Department but they weren’t taking anybody in. I would prefer is he joined the CHP rather than County Sheriffs.